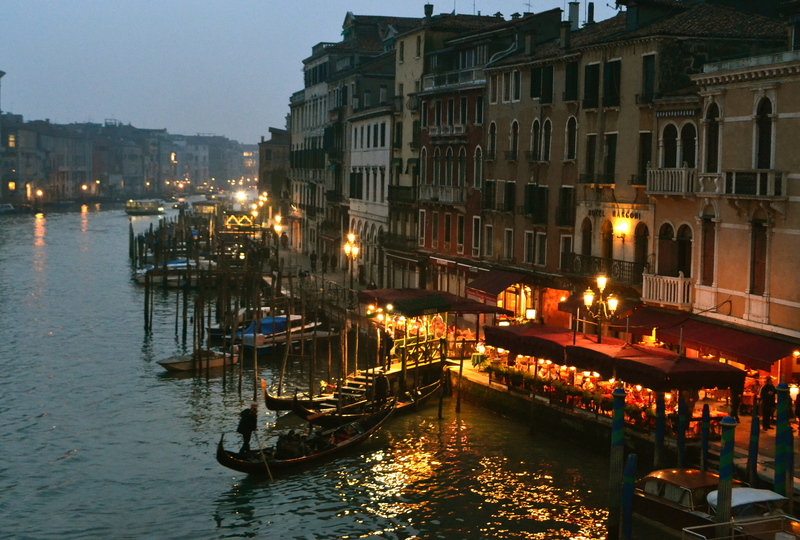 Venice has been described as “undoubtedly the most beautiful city built by man”. 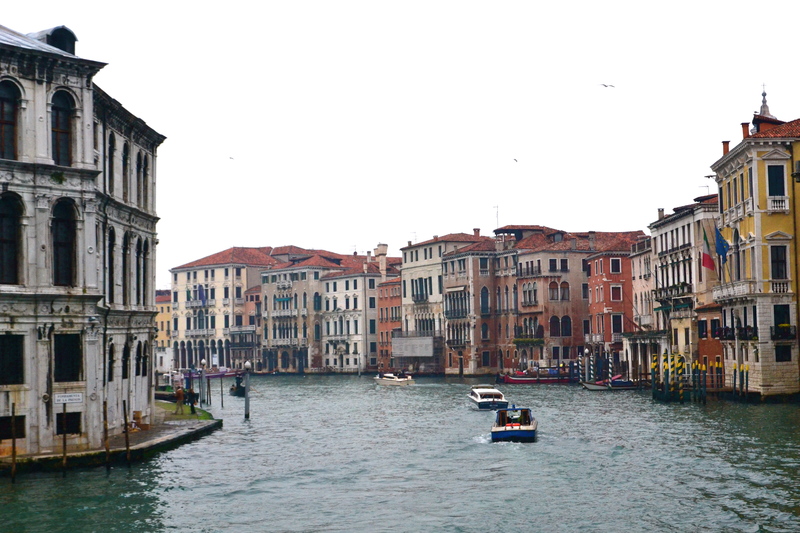 With 118 small islands separated by canals and connected by bridges, the entire city has been listed as a World Heritage Site, along with its lagoons. 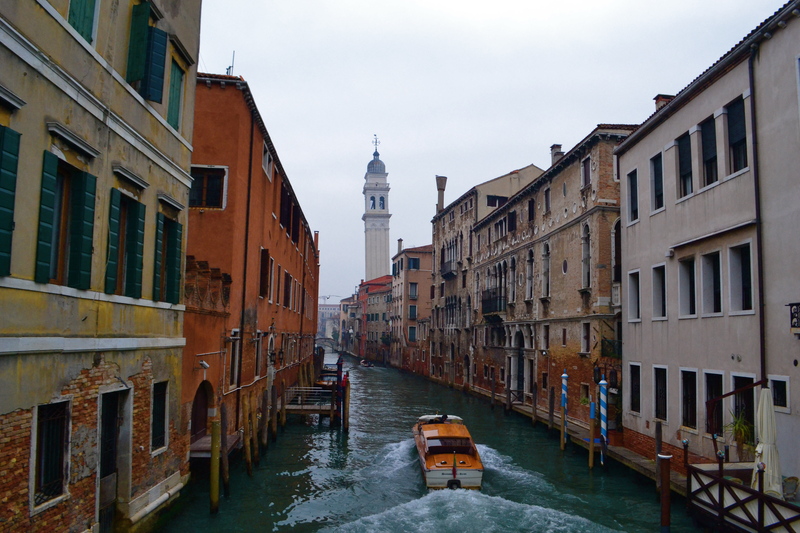 On a gloomy winter day, the “City of Water” would be our grand gateway into stunning Italy as we arrived from the north via an overnight sleeper train from Wien Westbahnhof (Vienna West Station) to Stazione di Venezia Sta. 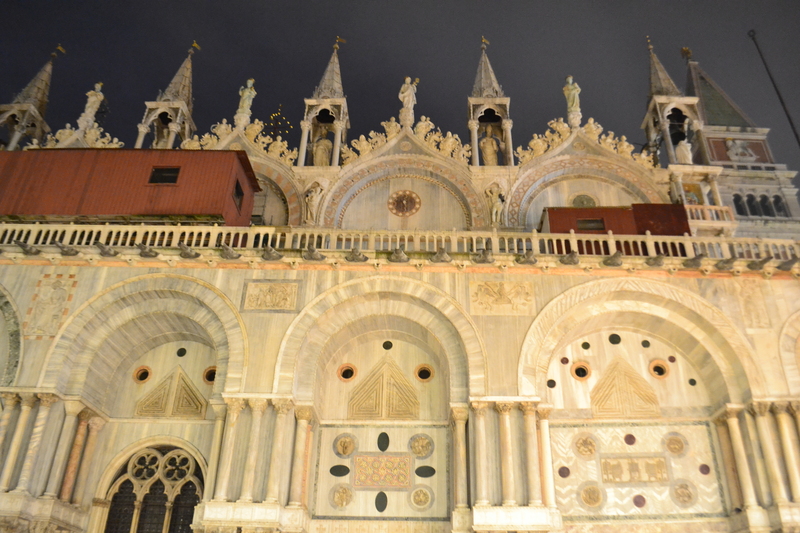 Lucia (Venice Sta. Lucia Train Station). 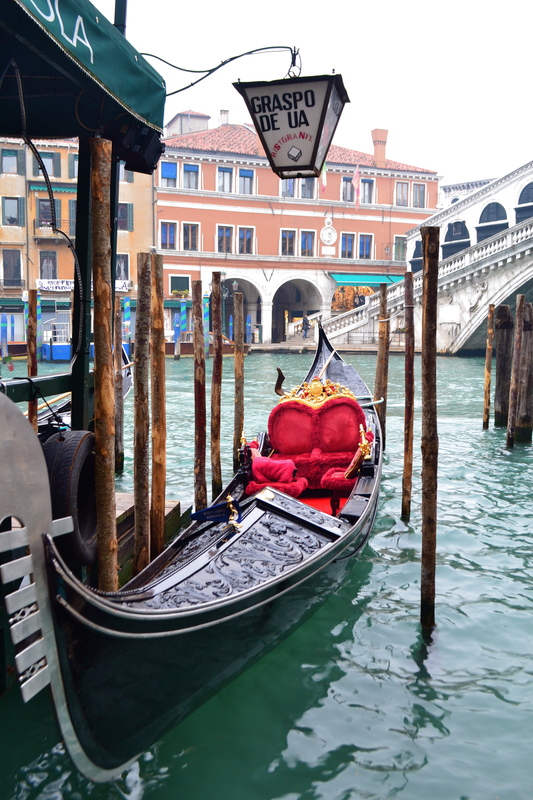 It was a rather smooth ride and we arrived in Venice early in the morning. 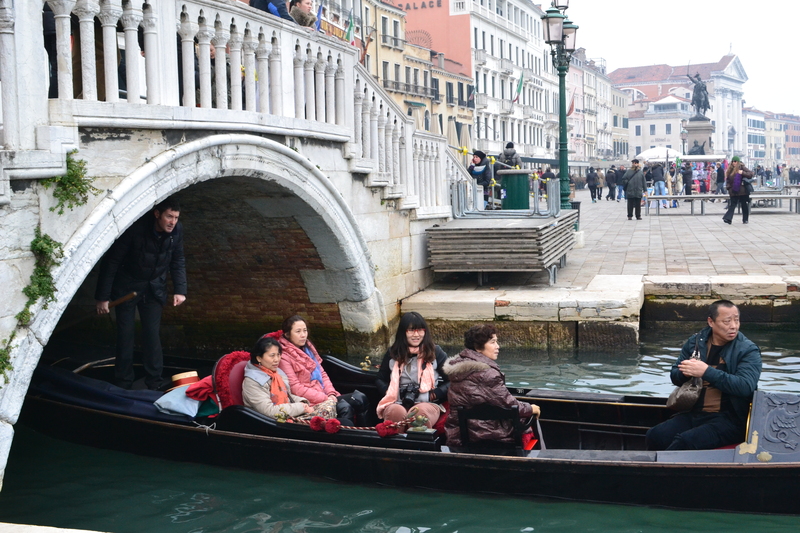 We took the vaporetto, the city’s ferry system and glided through Venice’s Grand Canal. 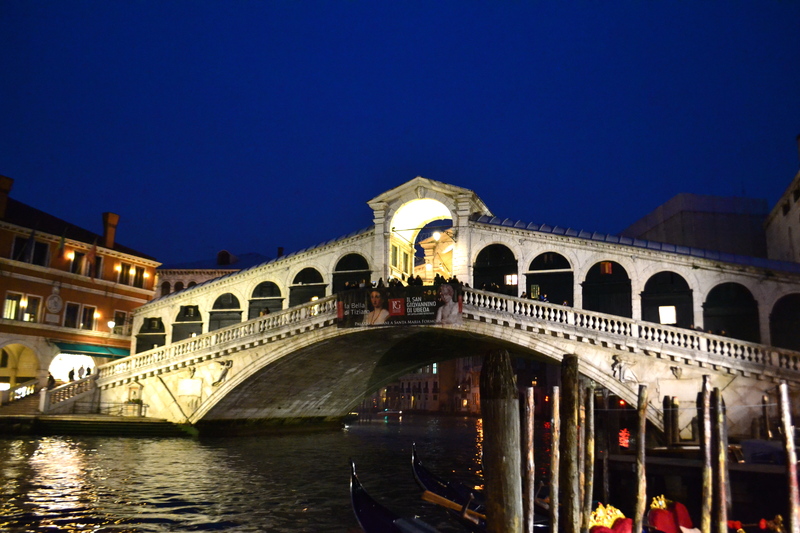 We alighted at the stop near Rialto Bridge. 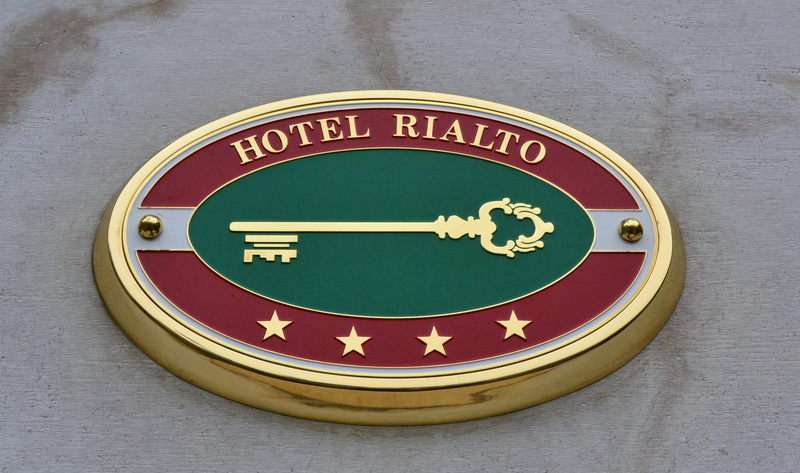 We have decided to stay at the Hotel Rialto. 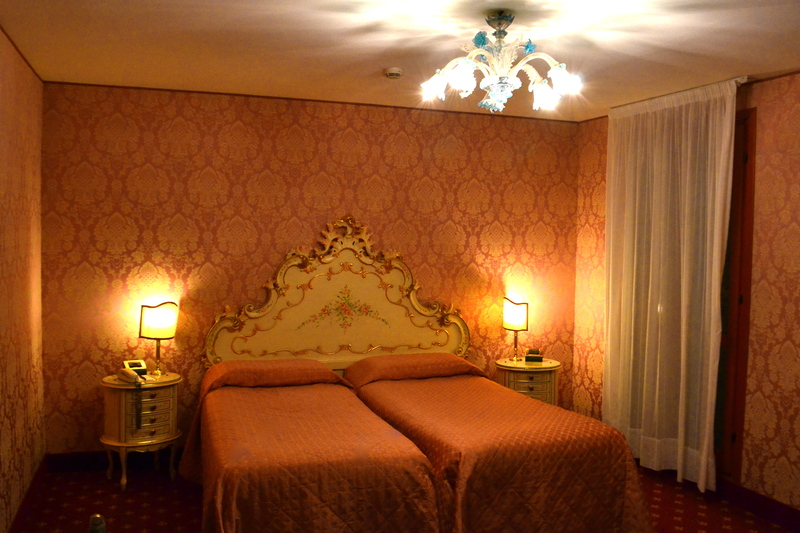 A few bad reviews in some websites did not stop us from booking in the hotel aptly called because it is just a few steps from the famous Rialto Bridge. 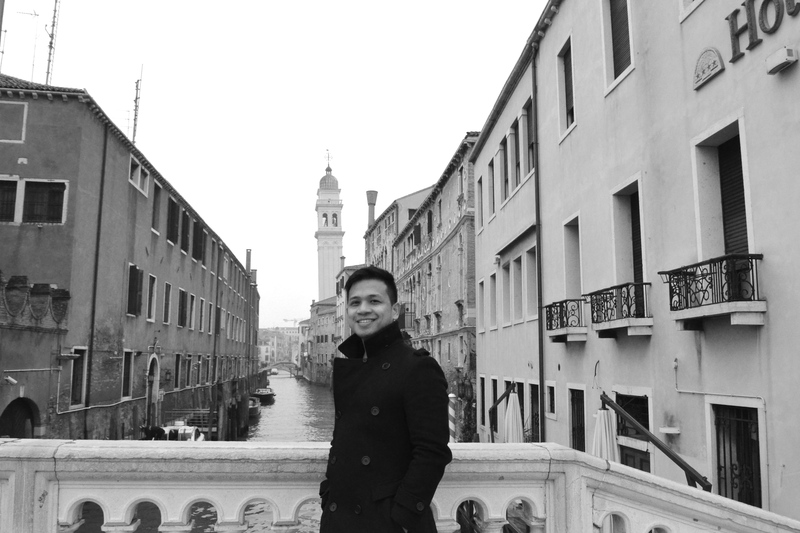 Some bad experiences are sometimes just isolated cases and I wanted to try the hotel with its perfect location: fronting the Grand Canal, a few minutes walk to Piazza San Marco and just in front of a water bus stop near the Rialto Bridge. We had a tiny but cozy, classic room that my friend and I instantly loved. 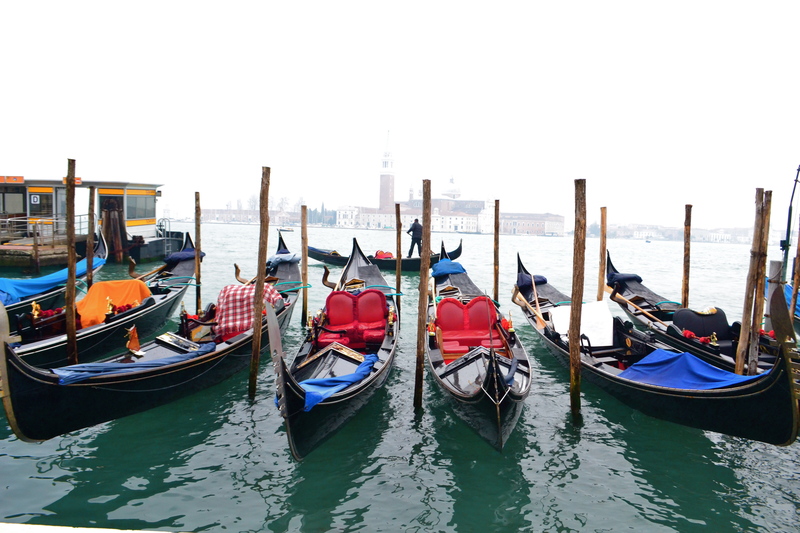 Just a few steps from our hotel were beautiful gondolas moored in the a gondola station very near the Rialto Bridge. 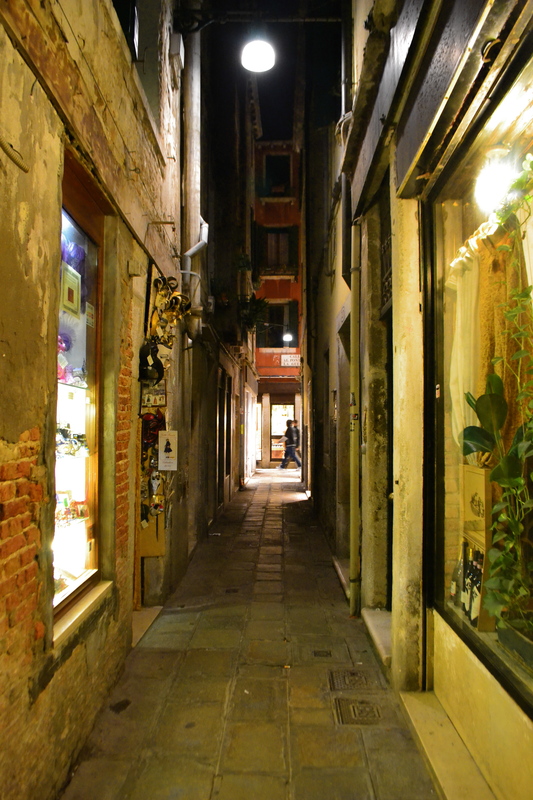 We had fun taking directions along narrow passageways leading to Venice’s most famous square…. 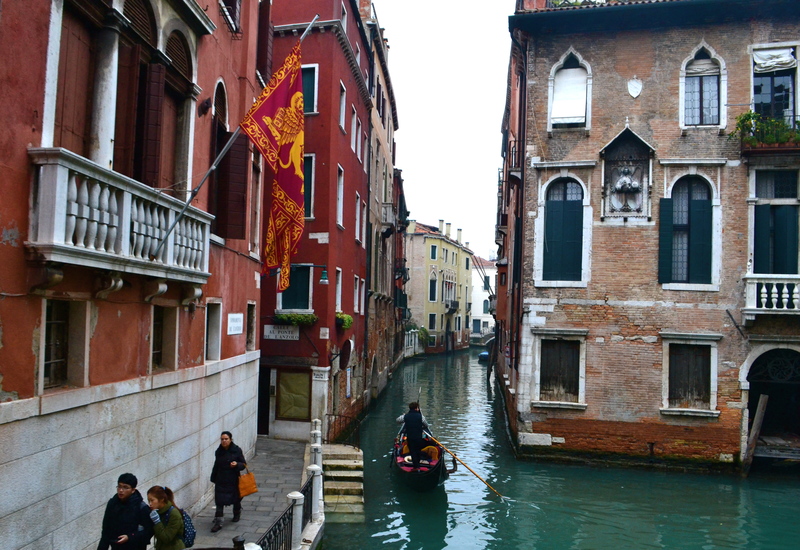 ….with views of the narrow canals as well. 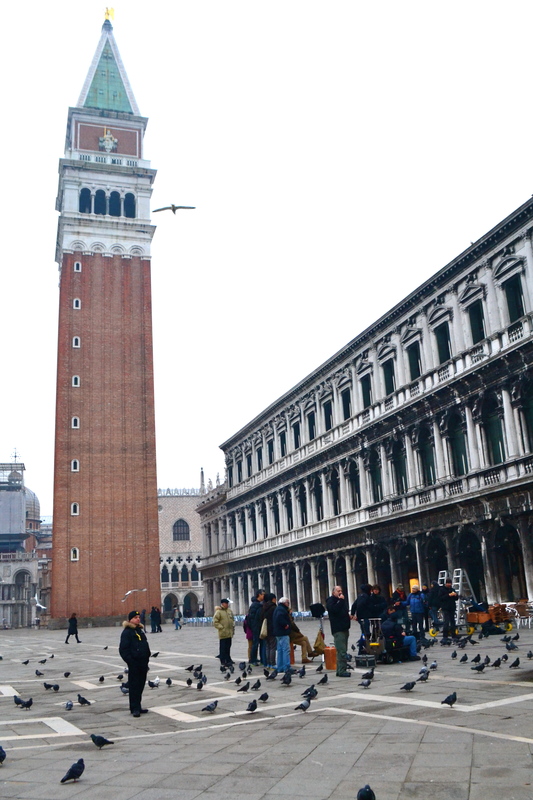 This is Piazza San Marco at mid -morning. 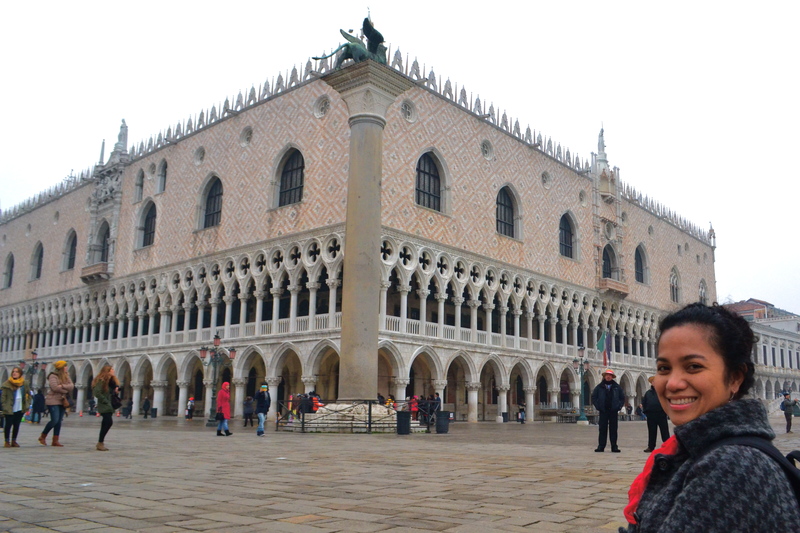 The famous square was just as lovely as I imagined it at mid-morning. 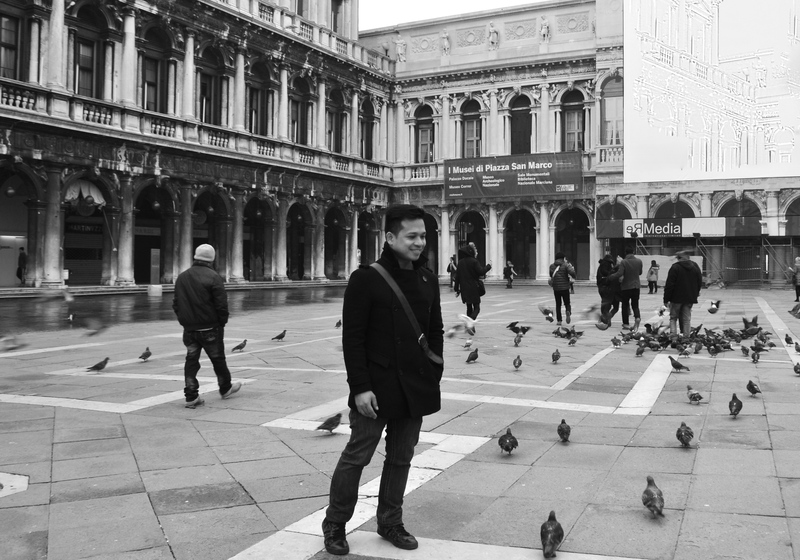 This stolen shot became my classic Piazza San Marco memoir. Veering left from Piazza San Marco we reached the Piazzeta di San Marco which is not part of the Piazza San Marco but an adjoining open space connecting the south side of the Piazza to the waterway of the lagoon. 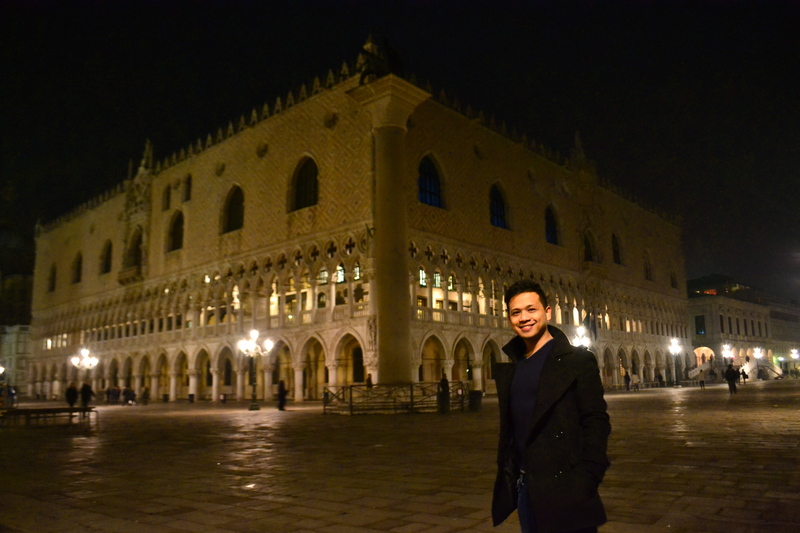 The Piazzetta lies between the Doge’s Palace on the east and Jacopo Sansovino’s Libreria which holds the Biblioteca Marciana on the west. 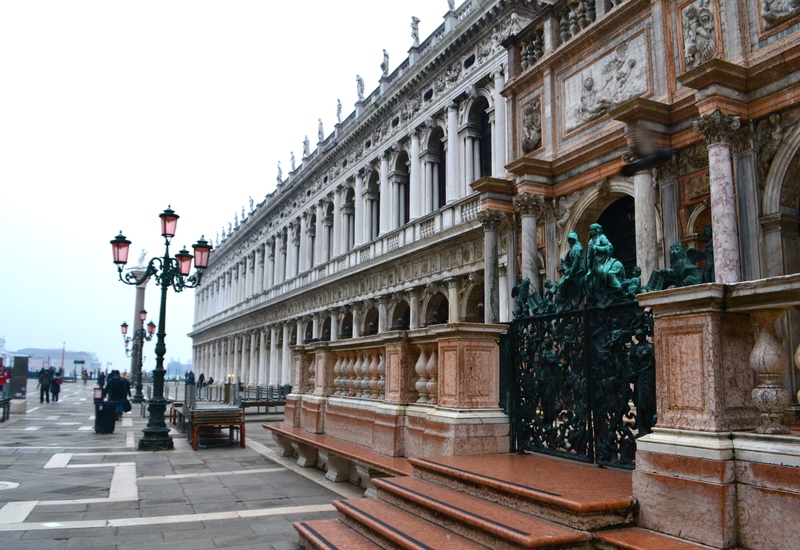 On the far side of the Piazzetta is the side wall of the Doges Palace with gothic arcades at ground level and a loggia on the floor above. Up to the seventh pillar from the front this is the building as rebuilt in 1340, while the extension towards the Basilica was added in 1424. 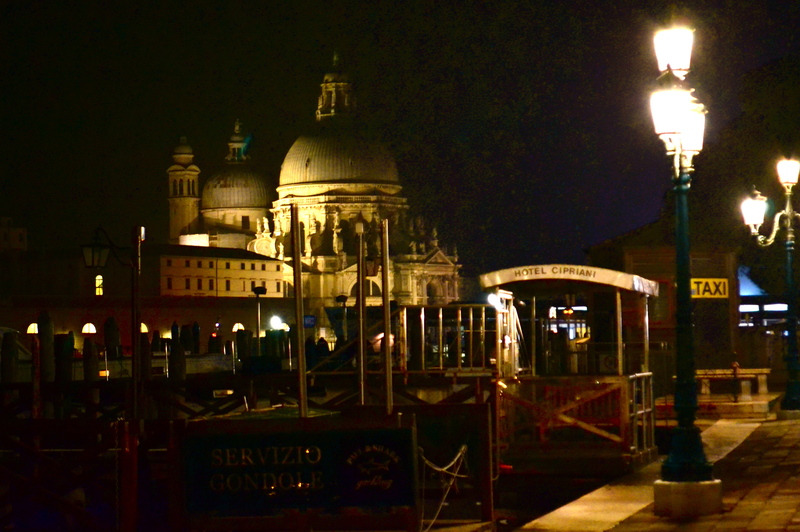 At the end of the Piazzetta were more gondolas and across the water (the Bacino di San Marco) we could vaguely see the island of San Giorgio Maggiore and the brilliant white facade of Palladio’s church there. 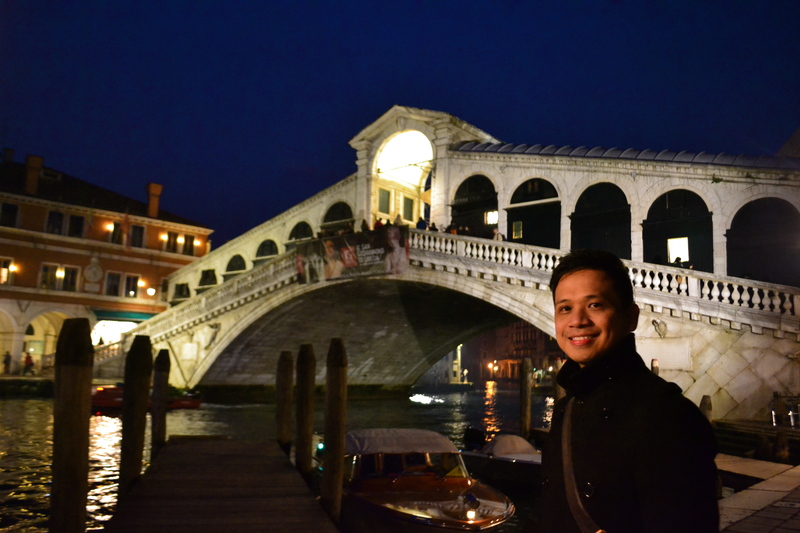 We traveled south to see more of the Venetian waterway…..
Our hotel was just next to the Rialto Bridge and we can just conveniently cross the bridge to get another perspective of the area. 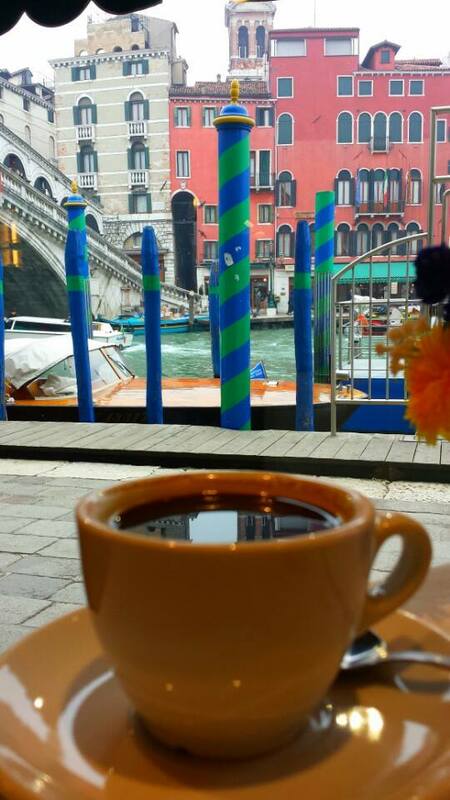 Our favorite spot for hot Italian coffee and sometimes meals of pizza and pasta (what else!) 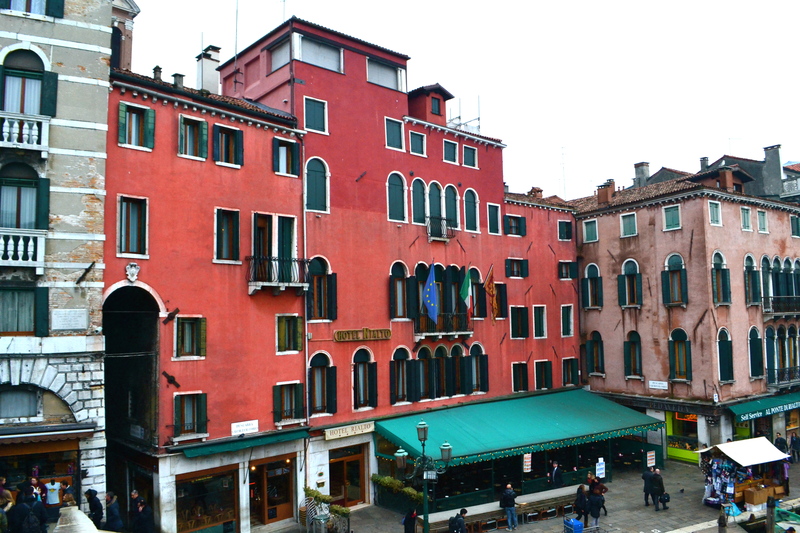 was Ristorante Florida as we always had seats overlooking the Rialto Bridge, the Grand Canal and our hotel. 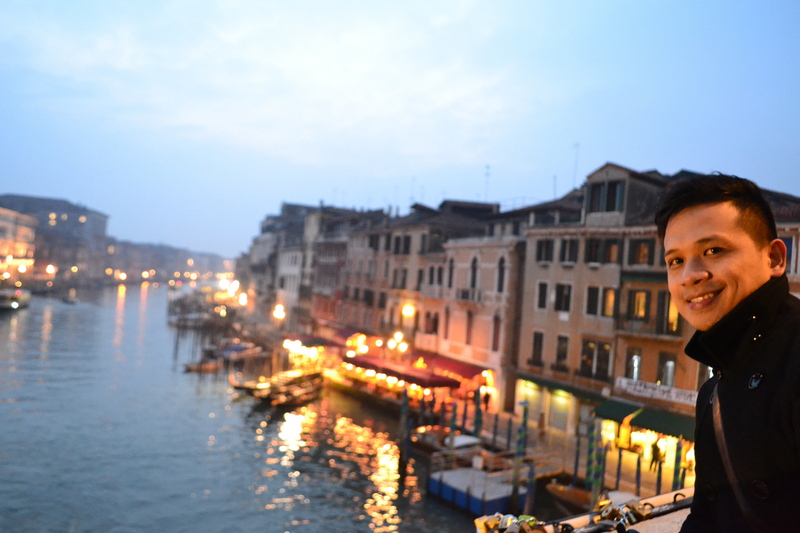 For sunset watching Rialto Bridge was my favorite because of the views of the Grand Canal. We climbed to the top of the bridge and stayed there the whole time. 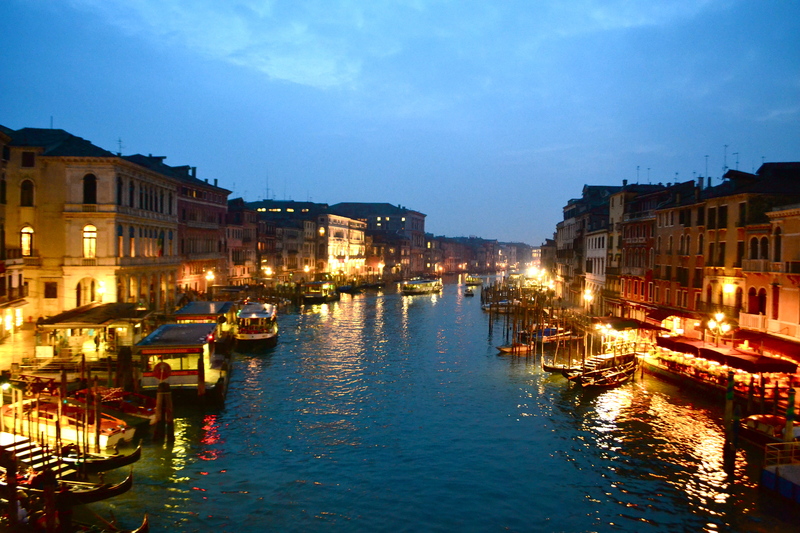 The blue skies of twilight reflecting on the busy Grand Canal and the evening lights lining its banks were a sight to behold. 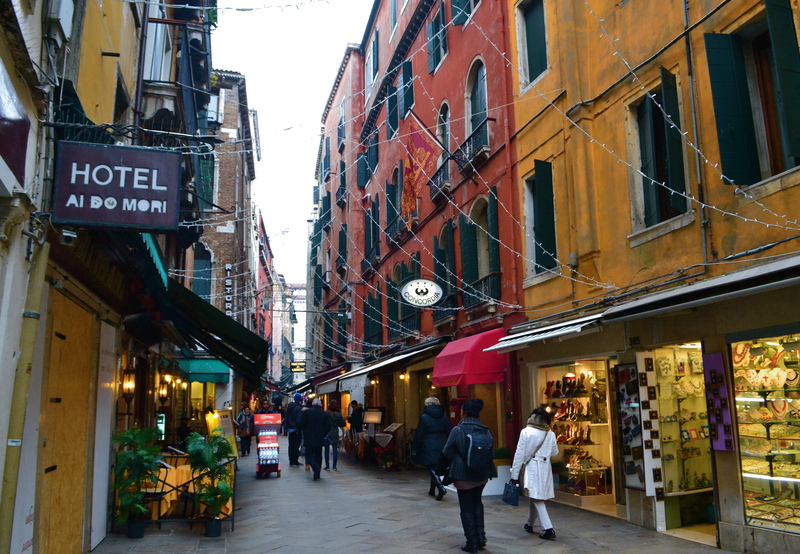 This is the classic Venice snapshot. Restaurants were starting to be lit up and were slowly filling up. 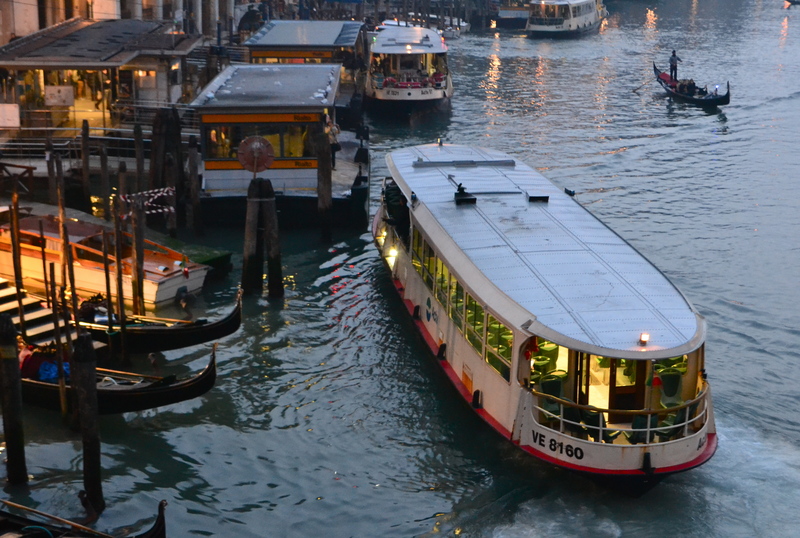 Water buses, the cheapest mode of transportation, and gondolas continue to ply the Grand Canal. 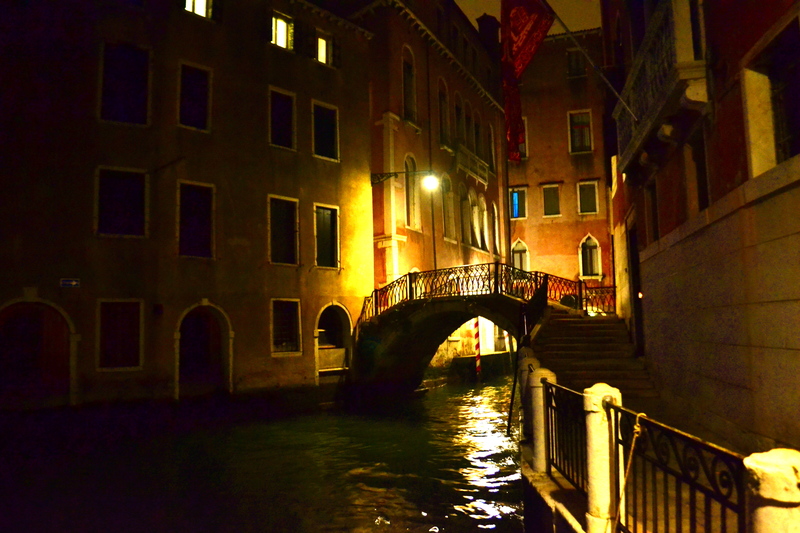 After sunset, we would climb down the bridge and prepare for that short walk again to Piazza San Marco. 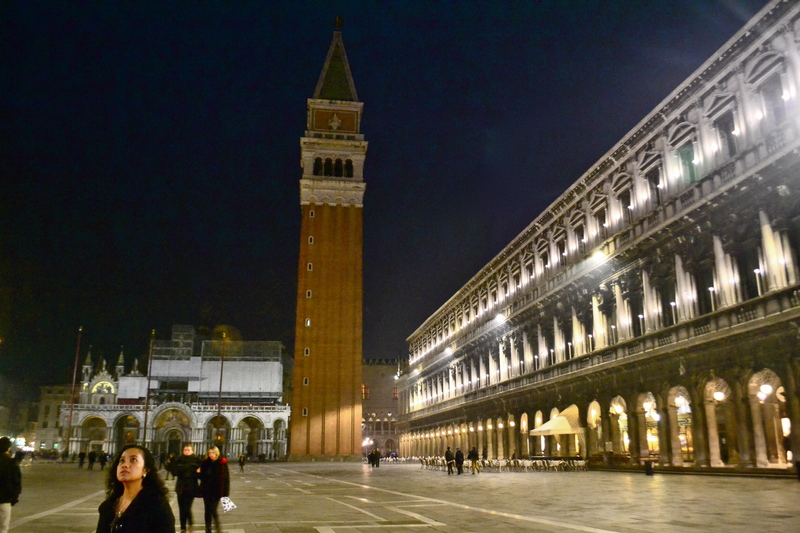 There were nights the Piazza San Marco was not so crowded as I expected it to be. 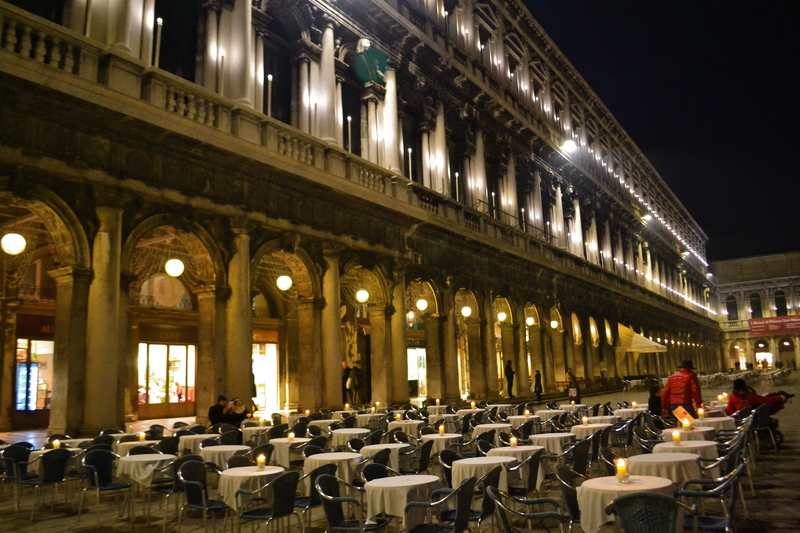 Restaurant tables right on the square were coveted spots for dining and people watching. 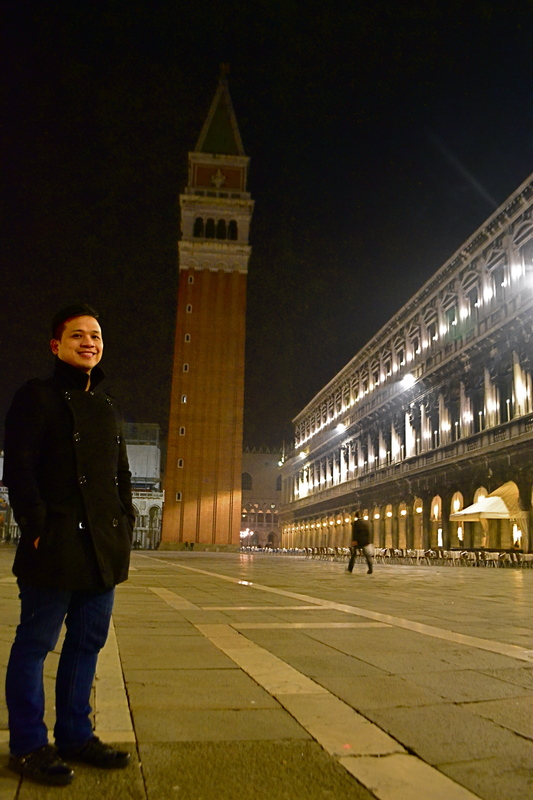 At times, we nearly had the Piazza San Macro and the adjacent Piazetta di San Marco to ourselves. 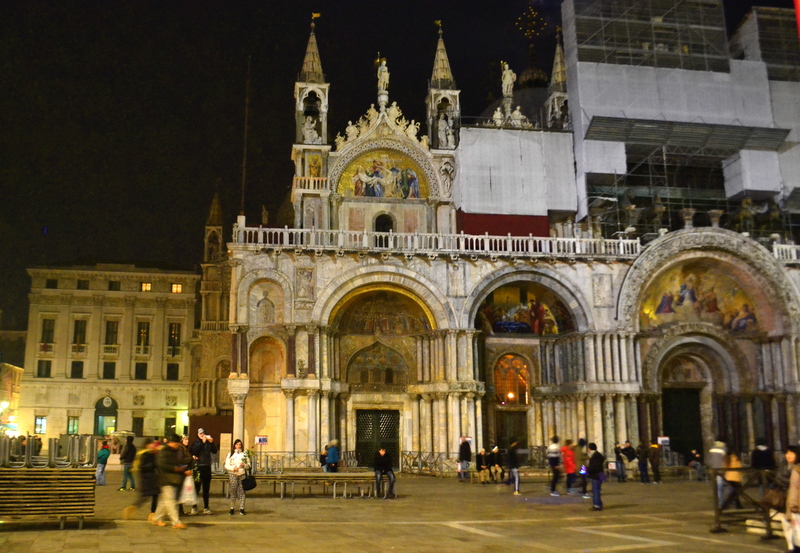 The Basilica di San Marco (St. Mark’s Church) which was partly under renovation did not escape our gaze. 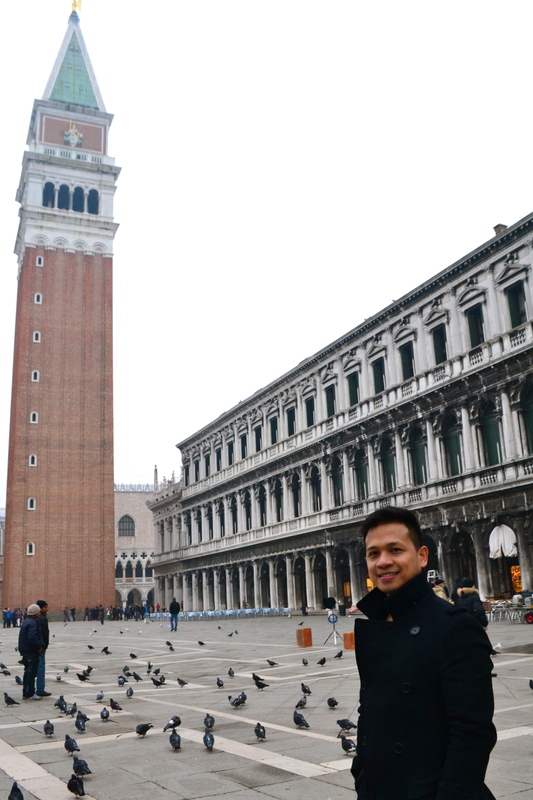 Also, the distant Church of Santa Maria Dei Miracoli. 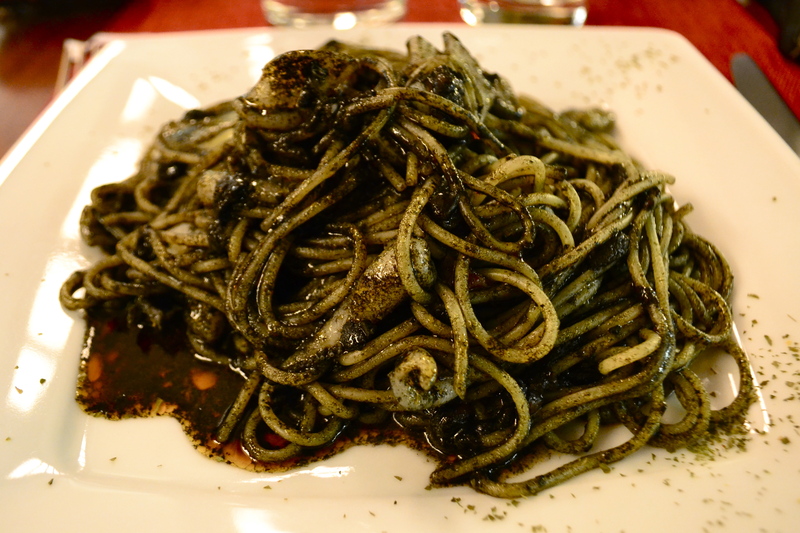 The most wonderful dining experience for me in Venice was having the best tasting Spaghetti al Nero di Seppia (squid ink spaghetti)! 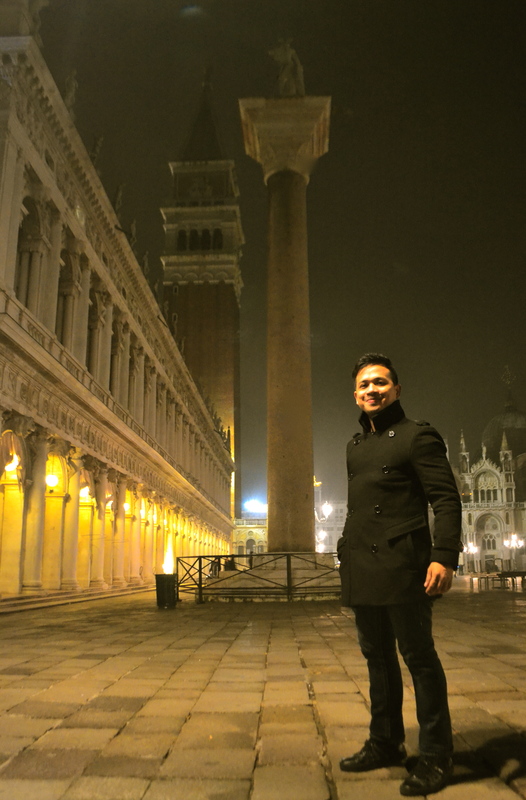 This is Venice’s specialty that is not to be missed! Delizioso! 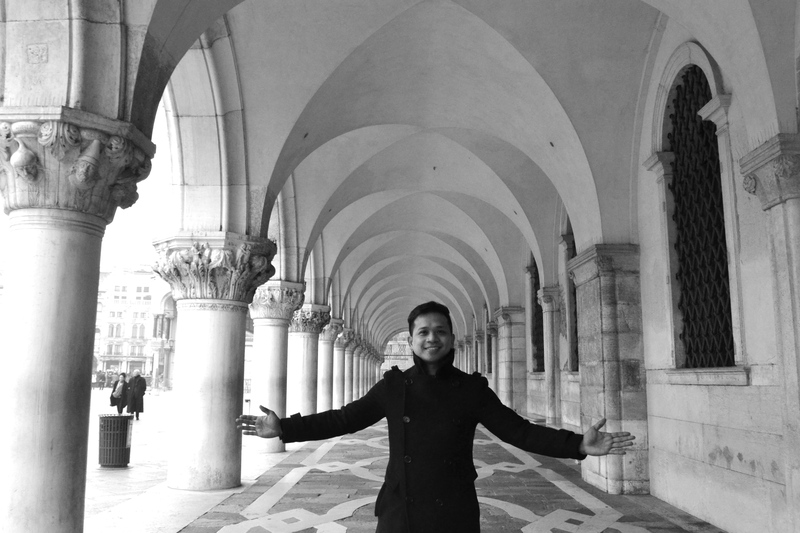 One of the activities that offers great surprises to first time Venice visitors is walking along Venice’s famous narrow alleys opening up unexpectedly onto squares in the maze-like configuration…..
….and crossing its bridges, 490 of them, small and big. 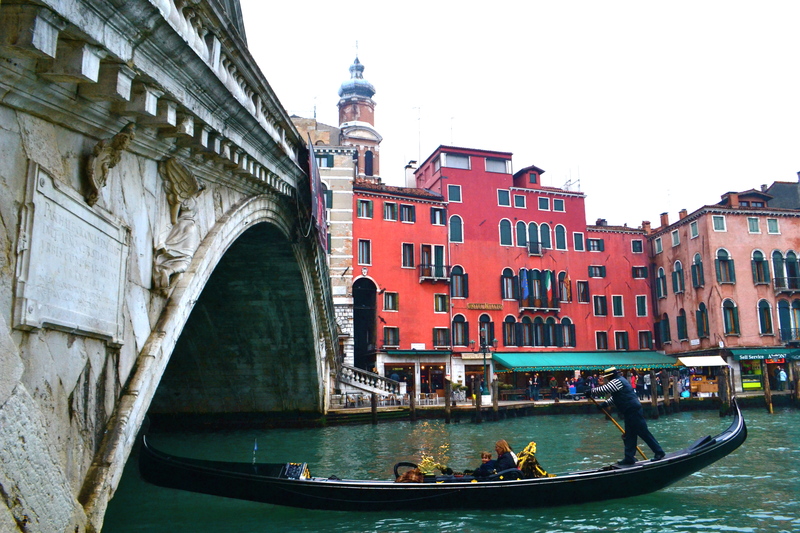 The vivid waterways of Venice always give visitors the constant nearness of water. 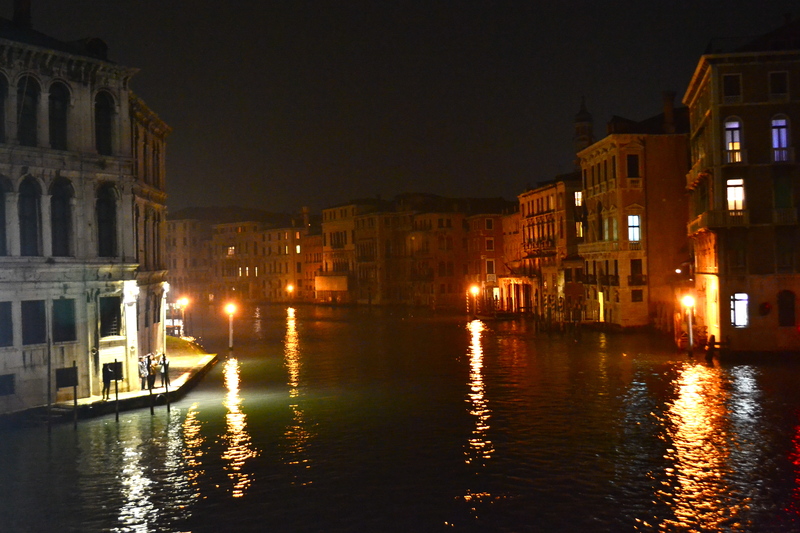 This city of water charmed us with blissful little moments that it stayed with us long after we have left.